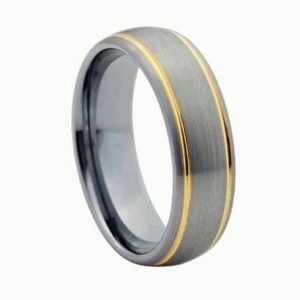 Natural tungsten is grayish in color, so the only way to achieve the gold color is plating. 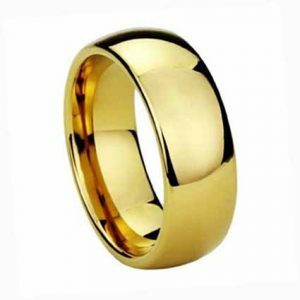 The Gold color is plating is affixed to the tungsten via a process call "IP plating". 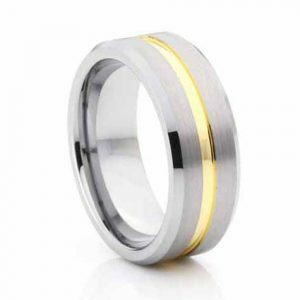 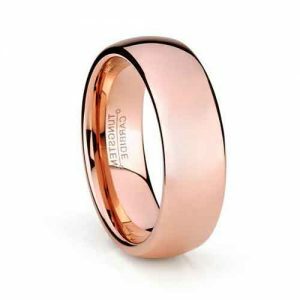 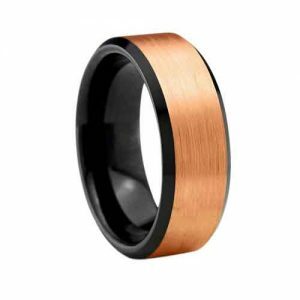 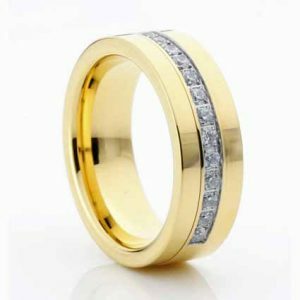 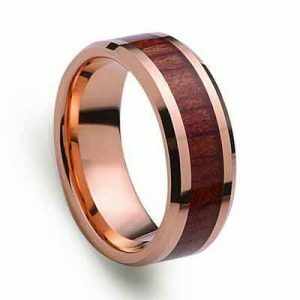 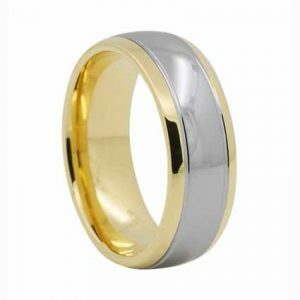 Gold tungsten is made by bombarding atomic sized energetic particles of titanium zirconium allow, which is gold in color, at an extremely high velocity so that the particles embed themselves into the surface of the tungsten ring.  Experiments show IP to be 5 to 8 times more durable than conventional techniques. 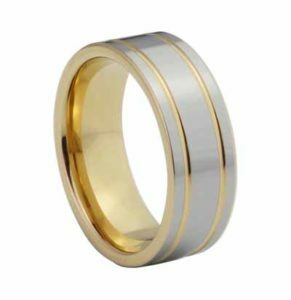 While tungsten itself is extremely scratch resistant, the gold tungsten are not as scratch resistant as the tungsten underneath. 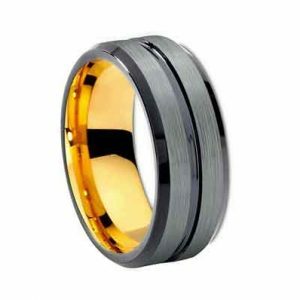 The plating will not scratch or wear off as easily as traditional metals, but it is not as scratch resistant as the tungsten underneath. 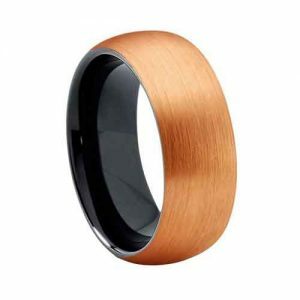 Plating can also be damaged by frequent exposure to hard water, or frequent/repeated contact with a moderately hard surfaces such as a computer mouse or inside a glove. 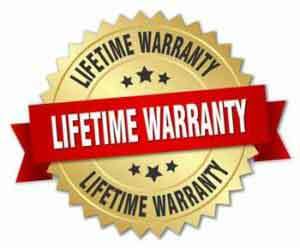 "Add the Life-Time warranty and you can replace a damaged ring at a minimal cost"